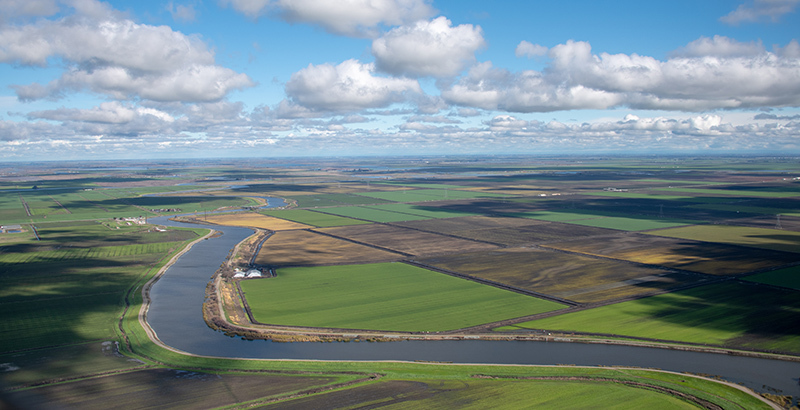 The Trump Administration is pressuring scientists to publish incomplete and cherry-picked analysis on water flows from the Delta. That could leave even less fresh water needed for the Bay-Delta and fish on the brink of extinction. The move favors water agencies that actively lobby against environmental protections, while freezing out public review. "It's always a red flag when you have the regulated entity, the entity that stands to lose something, having control over the regulation process," Baykeeper Senior Scientist Jon Rosenfield said in an interview for KQED. "We don't let the tobacco companies determine what level of smoking is safe." Click here to listen to the KQED Forum interview with Jon. In 2010, a pipeline burst and spilled heavy crude oil into Michigan's Kalamazoo River (pictured, above). Response agencies tried to clean up the spill but gave up after spending five years and over a billion dollars. "If a spill of heavy crude oil happened in the Bay today, the effects would be equally disastrous and irreversible," says Baykeeper attorney Ben Eichenberg. "Yet millions of gallons of heavy crude likely crisscross the Bay every year, with no effective cleanup plan for a spill." Baykeeper is taking action to address this threat with new state legislation, Assembly Bill 936, with Assemblymember Robert Rivas and NRDC. The bill would increase the financial requirements on oil companies, improve monitoring, and strengthen response capacity for a heavy crude oil spill. Read more about how this bill tackles the threat of a heavy oil spill in the Bay. It just got a lot easier for the Cargill corporation to pave over and build on San Francisco Bay wetlands. 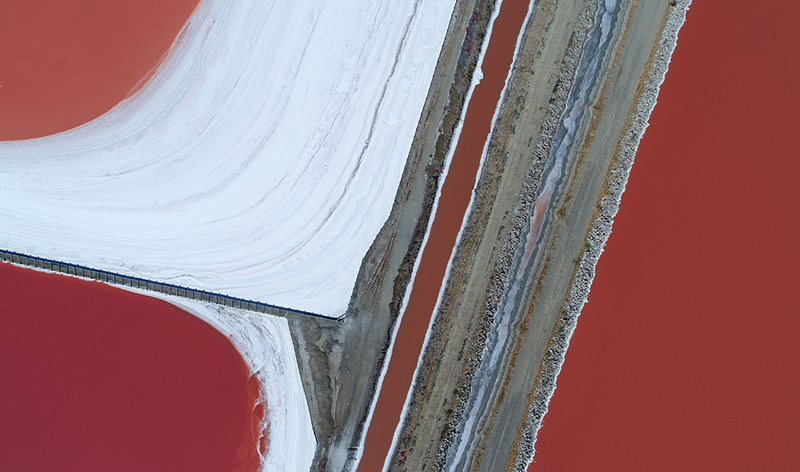 At Cargill's request, Trump's EPA recently issued a decision that South Bay salt ponds aren't covered by the Clean Water Act. These salt ponds are one of the last large undeveloped areas along the Bay shoreline. Not only should these salt ponds not be paved over—they should be restored to wetlands that can help protect against sea level rise and flooding. It's also a dangerous legal precedent for rolling back clean water protections on wetland areas. "EPA has no basis for deciding these salt ponds are no longer covered by the Clean Water Act, and it's in fact reversing itself on a prior 2016 draft determining the ponds are protected," said Erica Maharg, Baykeeper Managing Attorney. "They're simply ignoring the fact that the ponds are part of San Francisco Bay. It's clearly a political decision made to serve corporate interests." We'll keep fighting until Cargill's bad development plans are rejected and the salt ponds can be restored to wetlands that better protect the Bay. Read more about protecting the salt ponds. Science is at the heart of Baykeeper's work. Our pollution investigations, analysis of proposed environmental laws, and even lawsuits to stop polluters all rely on sound science. Which is why we're happy to announce a new addition to our team! Dr. Jon Rosenfield recently joined Baykeeper as our new Senior Scientist. 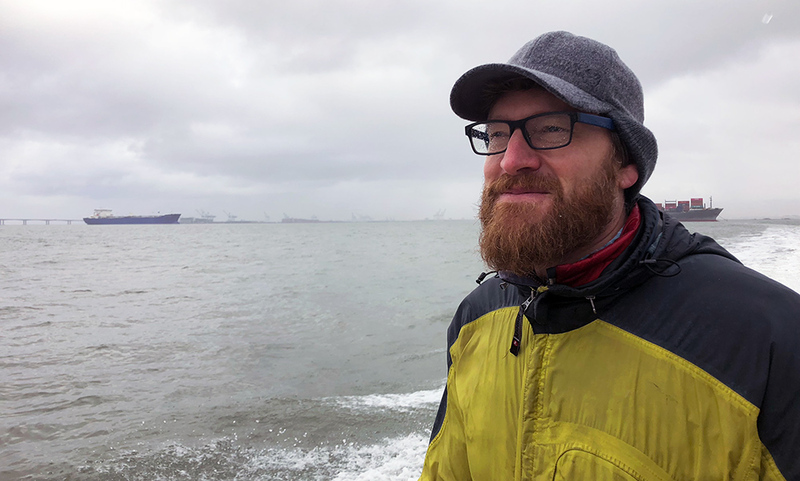 Jon, a conservation biologist, will increase Baykeeper's leadership on everything from endangered species protections to improving conditions for wildlife and fisheries throughout the Bay and Delta. Jon has been studying fish ecology, evolution, and behavior for 30 years and is an expert on the importance of Delta flows for the health of San Francisco Bay. Jon says he decided to apply for the senior scientist position because of Baykeeper's strong reputation for defending the Bay. 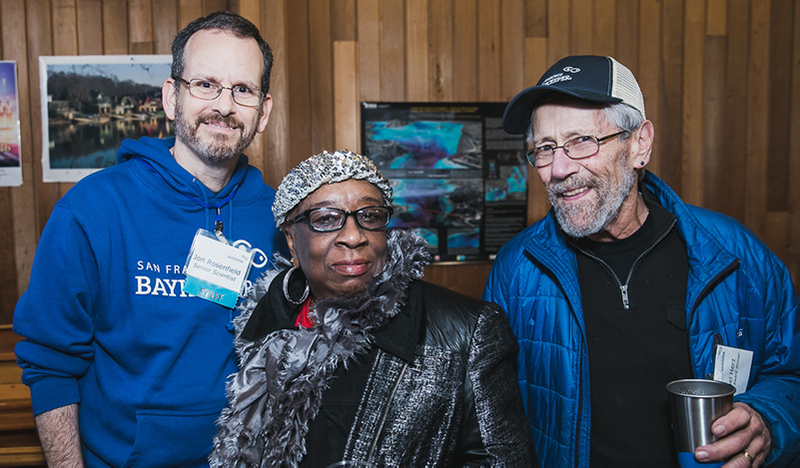 "If you care about protecting and restoring the living diversity of the Bay estuary, as I do, there is no better place to work than Baykeeper," he explained. In his free time, Jon is an enthusiastic birder and kayaker—a pastime that came up during the interview process when asked whether he felt comfortable conducting water quality investigations by kayak in stormy weather. "I thought to myself, 'Are they really saying they would pay me to kayak on San Francisco Bay?' I had to try really hard to contain my enthusiasm!" Read more about Baykeeper's new Senior Scientist. Thanks to everyone who joined us at the Baykeeper Dinner to celebrate 30 years of defending San Francisco Bay! It was a fun, energizing evening, and we couldn't do it without our amazing donors, volunteers, event sponsors, and our hosts at the Dolphin Club. With your support, we're now on our way to another 30 years for the Bay! Congratulations once more to our 2019 Bay champions, the Blue Rivet Award Winners. 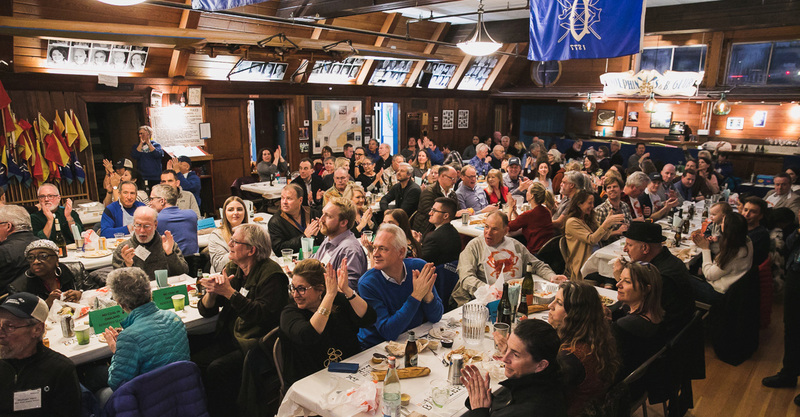 To see photos from the Baykeeper Dinner, check out the Facebook photo album. Paddling Film Festival in Emeryville, Friday, March 22: Baykeeper and Oru Kayak present the 2019 Paddling Film Festival for a night of community, food, and beer. Join us to take in the world's most beautiful and inspiring paddling films! Details and tickets. Earth Day Cleanup in Oakland, Saturday, April 20: Join us for an Earth Day cleanup at Jack London Square. Remove trash on the shoreline, or aboard a stand-up paddleboard or kayak. California Canoe & Kayak will offer discount rentals for participants. Details and registration. Bay Parade in San Francisco, Sunday, August 11: Save the date! The Bay Parade is our annual on-the-water extravaganza where swimmers, kayakers, stand-up paddleboarders, and boaters can join us to show their love for San Francisco Bay. Registration opens soon. The Baykeeper field team is out on the Bay, rain or shine. Earlier this month, we patrolled the San Francisco waterfront and several shoreline facilities. The team discovered suspicious-looking runoff from an industrial facility, which we're investigating. Pictured below is Baykeeper Attorney Ben Eichenberg aboard the Baykeeper patrol boat during a brief respite from the rain!